Fees associated with filing patent application in Turkmenistan as well as other patent fees are available in the fee calculator. A copy of the priority application should be provided to the Patent Office within four months from filing a Turkmen application. A simply signed Power of Attorney should be provided within three months from the date of filing the application in case the applicant is a natural person, while for legal entities it should be signed and stamped. Official legalization or notarization is not required. The applicant may amend or correct the application before the decision to grant a patent is issued. In case the application has been amended within three months from the date of filing, the official fee is not stipulated. Official fees for patent registration should be paid within three months from the date of issuance of the Notice of Allowance. The first post-grant annuities starting from the 1st year must be paid within said term as well. All next annuities are counted from the filing date and are to be paid before the anniversary of the filing date. For foreigners, it is obligatory to perform the patent prosecution in Turkmenistan through an agent, a registered Turkmen patent attorney. 3. 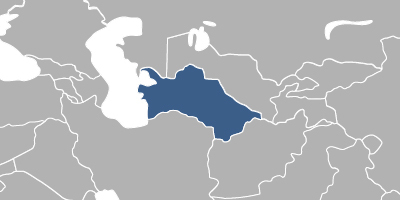 Patent protection in Turkmenistan may also be obtained via Eurasian Patent.